The Encinitas City Council is jumping in with both feet to solve our city’s most pressing problem – lack of a state-compliant housing plan. The failure of Measure T last November, which lost by 18,000 votes to 14,000 votes, demonstrates that we need a new approach to solving this entrenched problem. Last Wednesday, we hosted an open forum conversation with the community which drew almost 400 people. We held this special City Council meeting at the Community Center, purposely choosing a setting outside City Hall where our elected representatives and Encinitas residents were all sitting eye-to-eye on the same level. It proved a success, with tremendous participation, a generally positive atmosphere, and a healthy amount of common ground shared at this meeting. We collectively took our first steps down this different path toward a solution to an extremely complex, high-stakes issue. One purpose of the meeting was to lay out the parameters so we can create a shared reality with the community. California requires all 538 municipalities to have a plan for accommodating the state’s rising population (rising mainly because of births over deaths, not from immigration). Encinitas is responsible for creating zoning for at least 1,093 new housing units, which are homes, apartments, condos, etc. We currently have about 25,000 housing units. That 1,093 number is not flexible or renegotiable. Because not every lot will develop at maximum density, we have to have a buffer, so the number has to be somewhat higher than 1093. How much higher is still an open question. Existing accessory units or granny flats won’t solve our problem. These accessory units already exist (even if they are unpermitted) and they are not deed-restricted to be affordable, nor do we have a demonstrable history of creating very many affordable granny flats year-after-year in Encinitas. Because we do not have a legally required housing plan in place, we have been sued. The state hasn’t sued us; developers have. The motivation of the people filing suit is immaterial in a court of law. Being out of compliance with state law means that we continue to lose money on legal fees to defend these unwinnable suits, and we continue to lose out on regional grants that we’d be eligible for if we had a compliant housing element. The litigation threat is real, it’s ongoing and it will persist until we have a housing plan certified by the state. Any suggestion to the contrary is specious. For at least the last eight years, both the city and the community opposed to the various housing plans put forward have spent an inordinate amount of time and money on this problem. From my perspective, there’s no point in moving forward with another housing plan unless those who opposed Measure T are working together with the city toward something they could support. 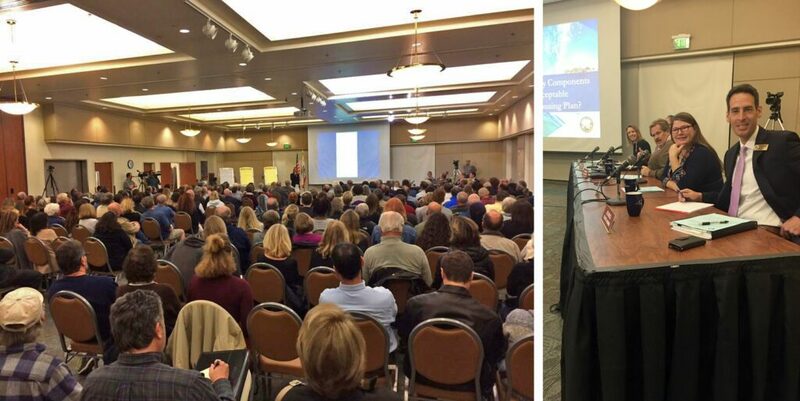 It is folly to plan for more housing in Encinitas without directly engaging this energized and passionate group of citizens. We’re in the penalty box and we need to get out of it. Other cities that haven’t figured out a way to handle housing growth internally eventually have the decision made by the court. At this point, Measure T is the only complete plan that complies with the law, has passed environmental review and received provisional acceptance by state housing regulators. If our effort is a failure, the legal journey will continue and we may very well end up having Measure T as our only option. I really don’t like that possibility. So if we want something else, let’s get busy and work together, with a collaborative spirit and a realistic recognition of our situation. I’d like to get a plan back out to the voters in a year. This goal may be ambitious, but we’re racing to beat the litigation timeline. We have scheduled a special City Council meeting for this Monday so the City Council can analyze and discuss what we heard, and give direction on how to proceed. Everyone wants our city to maintain its charm, history, vibrancy and personality. Let’s all get to work creating the better plan!